The first phase of the EI-ADO project was to analyse, rank and select up to five lead commodity chains with the greatest potential to improve the net incomes of a large number of poor farmers in Eastern Indonesia. The methodology adopted for commodity selection is outlined in Making Value Chains Work Better for the Poor: A Toolbook for Practitioners of Value Chain Analysis (PDF 6.59 MB) English & Bahasa (Agricultural Development International, 2008). From an original list of 32 commodities, 16 were shortlisted by the EI-ADO Reference Group. Comprehensive literature reviews of the 16 shortlisted commodities were developed by the project team along with a socio-economic review of the study regions. The information from the commodity literature reviews and socio-economic review was combined with stakeholder consultation to develop 16 commodity briefs. The aim of the commodity briefs was to provide a score (1-5) and supporting rationale on each commodity’s potential to address weighted selection criteria aligning with the goals of the AIP-PRISMA (PDF 344 KB) project. The final commodity ranking (commodity score multiplied by weighted criteria) is presented below. 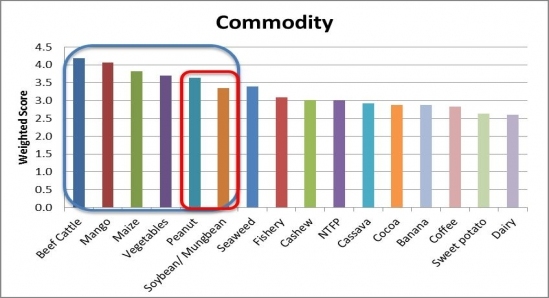 The commodities (circled in blue) that provide the greatest likelihood of achieving the goals of AIP-PRISMA were beef cattle, mango, maize, vegetables, peanut, soybean/mungbean. The Reference Group decided to group together peanut, soybean and mungbean (circled red) and reclassify under the one commodity group of legumes. This document is a final report, capturing the activities undertaken by the project team to analyse, rank and select five initial commodity value chains for detailed value chain analysis. 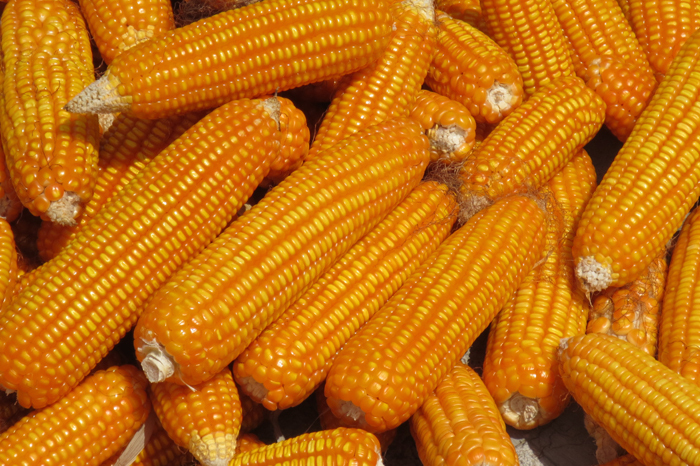 The report presents a detailed description of the process undertaken to prioritise the commodities and the findings. All photographic images on this site were taken by the Collins Higgins Consulting teams during the EI-ADO project activities. Reproduction should note their source as Collins Higgins Consulting. 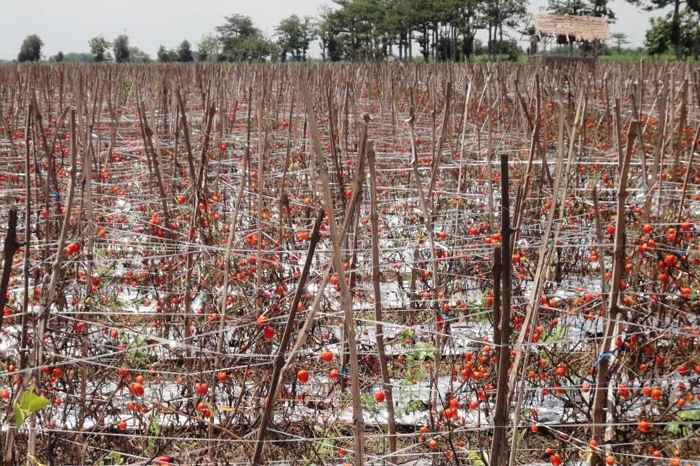 Tomatoes left on the vine due to low prices, Kediri, East Java. Hybrid maize drying in East Java. 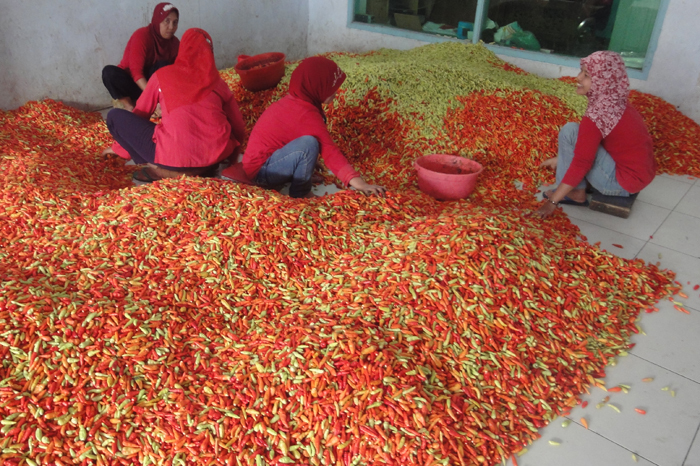 Sorting chilli collected from farmers in Kediri, East Java. 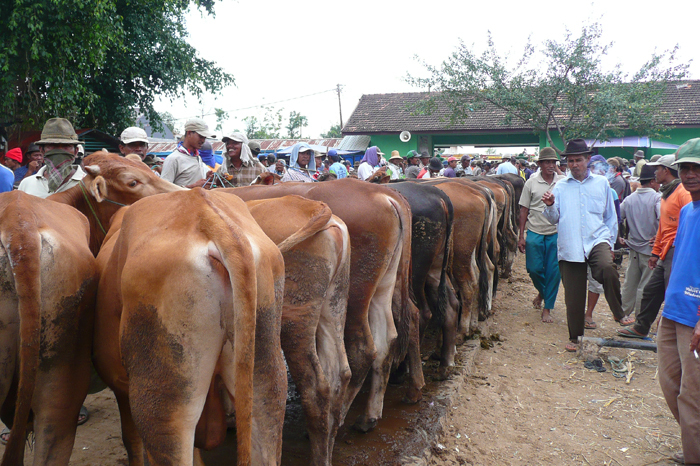 Consistent line of cattle for sale in Tuban cattle market, East Java.